Click on any of the buttons below to quickly jump to the document you are looking. Pitchers may pitch for 1 team per division as long as they are on the roster. Substitute players may not pitch. Leading off and stealing allowed only once the ball crosses the plate, not when the ball leaves the pitchers hand. Bunting is allowed. However, the batter may not show bunt and then swing away. This will result in an automatic out; the next occurrence by anyone (either team) is out & ejected. Commitment Line halfway between third and home, Safe Line at home. No tagging allowed past the Commitment Line, i.e. always force play at plate. Runner cannot touch the plate except to avoid collision. A runner may not slide at home. A runner sliding at home will be out. Home team will supply 1 authorized new ball, visiting team 1 good used authorized second ball. When a batted ball is hit out of the field of play (home run or foul), the batting team must immediately send a player to retrieve the ball. A full game is 7 innings, and no new inning will begin after 1 hr and 40 min from scheduled start time. The maximum length of a game is the lesser of 1 hour and 50 min or lights curfew. Scores will revert to the last full inning. Ties will stand. Teams may give up their at bats for a full inning, or the remainder of an inning, in lieu of having batters/runners intentionally “get out” to speed up the game. Scheduled batters do not lose their at bats, they bat the next inning if their team takes their at bats. This can be done an unlimited amount of times per game. Teams must show up at the park rain or shine. Games called due to bad weather or poor field conditions will be considered official after 3.5 innings if the home team is ahead and after 4 innings if the visiting team is ahead or an hour of game time (excluding weather related delays) has elapsed, for both regular season and playoffs. Teams may use up to 5 eligible substitution players in any one game, to reach up to 10 (divs 1, 2) 11 players (divs 3, 4, 5). Substitution players must be identified to the opposing team prior to the start of the game. Unlimited courtesy runners are allowed for a maximum of 4 players (injured or not). The courtesy runner must be the person furthest from the batter in the line-up unless this is an injured player, in which case the runner would then be the next person in the line-up. Players may leave the game at any time without penalty as long as the minimum number (7) are left. No soccer, hard plastic, or metal cleats are allowed. An umpire can ask a player to remove cleats should they feel they are a safety risk. Jewellery can be worn, but is not recommended. A player may be asked to remove their jewellery (excluding any medical id jewellery) if the umpire deems it unsafe or distracting. If the player does not comply they may be removed from the game. Bases MUST be 65 feet apart, and the pitching rubber MUST be 46 feet from the plate. The home team is responsible to ensure this is done correctly and in a timely basis using an accurate measuring tool. Bases are to be secured 15 minutes before start of game by the home team. 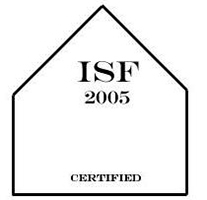 Safety bases must be used at First Base. Shirts must have sleeves. Shorts are permitted but not recommended. Mercy Rule of 7 runs per inning maximum for first 4 innings only. Any subsequent inning is “open”. Should any team be leading by 20 runs after 5 full innings, the game will be ended. No smoking, including vaping, in the dugout, field, or spectator areas. No alcoholic beverages/marijuana use in the park at all. Only team captains, or a designated captain, may approach the umpire about any aspect of the game. Ball must be 12-Inch Worth SPN Grey Dot Optic Yellow. ASA 2013 is not allowed. 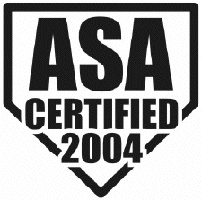 Bats must also not be on the ASA banned list (https://usa.asasoftball.com/e/build_batlist_one_page.asp). Must start with two feet on the rubber with one distinct step forward with no pause. The pitcher must not use a windmill motion & the pitching arm may not make a complete revolution in the delivery. The pitching action must resemble that of a straight bowling motion or figure eight, no bend in the elbow at peak of the backswing. Both feet must start on the rubber with one clear and immediate step forward (no stepping to the side). Foot can drag after release of the ball, hop step is The pitcher must not make any motion to pitch without immediately delivering the ball to the batter. The pitcher may take the ball behind their back on the back swing. Pitchers may release the ball PALM facing up or down. (As in Orthodox) No turning the wrist during delivery. The pitcher must not use a windmill or sling-shot type pitch. The pitching arm may not make a complete revolution in the delivery. The pitcher must finish facing forward (both shoulders square to the plate). During delivery, no pitcher’s body should be completely open to a basee. hips in line with home and 2nd (90 degree angle). Some turn is allowed, 45 degrees. We will not be adopting the new Intentional Walk rule. Pitches must be thrown to walk a player, though we strongly discourage IBBs. We will not be adopting the 2-5 second pause between a pitcher coming set and delivering the ball. It will remain 1-10 seconds. Batter staying in the batter’s box – the umpire has the discretion to keep the game moving and ask the player to get back into the box if he feels the player is delaying. If the batter fails to get in the batter’s box in a reasonable amount of time, a strike may be called. Three charged defensive conferences – The old rule of one charged conference per inning will remain in effect before a pitcher must be removed from the pitching position. Exception: All Players in the lineup must bat. Exception: If a batter shows bunt he cannot pull back and swing at the pitch. Penalty: First instance, batter is out and warning issued to both teams. Second instance by any batter is an out and ejection. Exception: The commitment line is drawn half the distance between 3rd base and home plate. The line is on the foul side of the foul line perpendicular to the base path. A runner from third passing the commitment line must continue to home plate and not return to third base. If he returns to 3rd base and the fielder/catcher steps on home plate with the ball, the runner is out. Exception: The safe line is a line parallel to the commitment line, drawn from home plate closest to 3rd base. It stops within 3 feet of home plate. A base runner from third base may not touch home plate but must cross over the safe line. The runner is out if the fielder/catcher catches the ball while he is touching home plate before the runner crosses the safe line. A runner touching home plate when attempting to score is out. A runner may not slide at home, should the runner slide at home the runner will be out. defensive player may use either base. When the defensive player uses the foul portion of the double base, the batter-runner can run in fair territory and if hit by a throw from the foul side of first base, it would not be interference. Exception: Pitcher may also wear a trapper on the mound. Exception: A Catcher must wear chest protector, shin guards, mask, helmet. Exception: Hats are not mandatory. Exception: Players do not have to wear the same colour undershirts. Exception: Lineup card is not required, score card is required. Exception: Not Applicable. Late arrivals will be allowed to enter the game at the beginning of the next half inning and to be placed at the bottom of the batting order. Exception: 10 fielders may be used in division 3, 4 ,and 5. Exception: 7 players per team are required to start or continue a game. Exception: Lineup cards will not be mandatory. Exception: Unlimited substitutions in the field. Exception: Jewelry is allowed to be worn, but is not recommended. A player may be asked to remove their jewelry if the umpire deems it unsafe or distracting, if the player does not comply they could be removed from the game. Exception: Catcher in the following inning can request a courtesy runner with two outs without counting towards courtesy runner limit. Exception: Tie games will stand at the completion of 7 innings or time except for playoffs. There will be no extra innings even if time is remaining. Exception: A game called by the plate umpire will be regulation if the home team is winning after 3.5 innings or if the visiting team is winning after 4 innings OR game time (excluding any weather-related delays) is at least one hour. Exception: A regulation tie game will stand. Exception: 7 run limit per inning for innings 1-4, Innings 5-7 will be open innings. A game will be called by the home plate umpire if one team is leading by 20 runs after 5 innings or more. Exception: One charged conference per inning will remain in effect before a pitcher must be removed from the pitching position. A charged conference is defined as a meeting between a pitcher and a team mate that interrupts the flow of the game. Exception: Must start with two feet on the rubber with one distinct step forward with no pause. Division 2-5: Pitcher cannot turn their wrist during the release of the ball. Pitcher cannot bring the ball more than a foot away from their body during delivery. Slingshot pitching (bending the elbow and rotating the body significantly toward first/third base) is NOT allowed. Exception: The umpire has the discretion to keep the game moving and ask the player to get back into the batter’s box if he feels the player is delaying. If the batter fails to get in the batter’s box in a reasonable amount of time, a strike may be called. Exception: Each team must keep track of each plate appearance. It is recommended that each team keep track of: Singles, Doubles, Triples, Walks, Home Runs, and Strikeouts. Additional and optional pitching stats, RBI’s, Stolen Bases, and Runs Scored. Errors are to be counted as hits; fielder’s choice is not to be counted as a hit. Scores and Stats are to be uploaded to the website within 48 hours of game. THESE ARE NOT RELATED TO THE SOFTBALL CANADA RULE BOOK. To be eligible for the playoffs each player must be on the team’s official roster by the third Sunday of July. No new inning will start after 1hr 40 min from the scheduled game time. No pitch will be allowed after 1 hr 50 min from the scheduled game time. Teams will be allowed to have an unlimited number of courtesy runners for up to 4 players. The courtesy runner must be the person furthest from the batter in the line-up unless this is an injured player, in which case the runner would then be the next person in the line-up. Any player may leave a game for any reason without penalty as long as there are still enough players to continue the game. Smoking, including vaping, is not allowed in the dugouts or playing field. Alcohol/marijuana use is strictly prohibited in any part of the park or parking lot. Pitchers can pitch for one team in each division as long as they are on the team’s official roster. Teams are allowed to bring out non roster players during the regular season only in order to get their lineup to 10 for divisions 1 and 2, or 11 for divisions 3, 4, & 5. Subs must bat at the bottom of the batting order before late arriving players (anybody who shows up after the official plate meeting). A maximum of 5 subs may be used. Does a team have a default? Standings will be determined based on win percentage. A default will be counted as a loss and a default. Therefore, it will count as a game played and there will be a subtraction of points from winning percentage (a default counts as an additional loss when calculating win %). Team rosters must be returned to the league on the approved spreadsheet by April 28th. The last day to make adjustments to the roster will be the third Sunday in July. The minimum roster size is 10 players. The maximum roster size is 18 players. Teams may give up their at bats for a full inning, or the remainder of an inning, in lieu of having batters/runners intentionally "get out" to speed up the game. Batters who were due to bat will NOT be skipped. They will take their scheduled at bats in the next inning if there is one. This can be employed before an inning, before an at bat, or mid at bat with any number of outs. This can be done an unlimited number of times per game. Question the umpires strike zone. 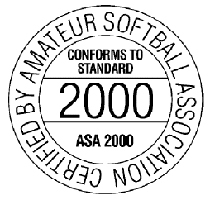 Bring league rules or softball Canada rule book onto the field. Wear shorts that don’t go below the knee. Don’t remove jewelry after an umpire’s warning. Speak in a derogatory or disrespectful manner to an umpire. Question an umpire’s subjective ruling such as a close play at a base (especially in a challenging or disrespectful manner or with excessive negative body language). Sweat at anyone for any reason, even at yourself (say if you miss a ball). Smoke, drink or take illegal drugs on the field or permit area. Fight, threaten or intimidate anyone (or appear to do so). assume that all umpires react exactly the same to a given situation. Partake in any illegal activity. Excessively argue with anyone, even teammates or spectators. Throw a bat, glove or any equipment in anger or disgust (or lose your self control in other ways such as yelling if you don’t like a call). Use an altered or banned bat. Physical contact with an umpire, teammate, opponent, spectator, city worker or league official that’s meant to intimidate, instigate, elevate or respond. Partake in unsportsmanlike or racist or anti-social behaviour. Make personal comments, insults, yell or make other types of attacks or intimidation against an umpire, teammate, opponent, spectator, city worker or league official for any reason. Make gestures or show disgust at an umpire’s call or decision. NOTE: Complaints appear more plausible coming from teams that also send occasional comments on satisfaction, especially by umpires.